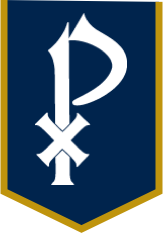 College Prep courses at St. Pius X are rigorous programs of study that prepare the students for the demands of competitive colleges. College Prep courses accommodate student learning styles by using multiple teaching formats. Some College Prep courses require greater independence and require more long term assignments; others are more structured with daily homework assignments, frequent quizzes and long term projects broken into several steps. Most of these classes, regardless of teaching method, use the same textbook. Course descriptions include the course name, number, level (AP = Advanced Placement, H=Honors, CPA = College Prep Accelerated, CP = College Prep), course length, and any pre-requisites.